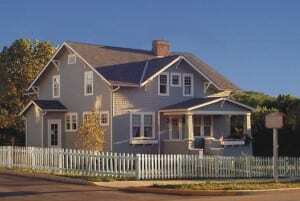 John & Annie Glenn Historic Site, the boyhood home of astronaut and Senator John Glenn in New Concord, Ohio. 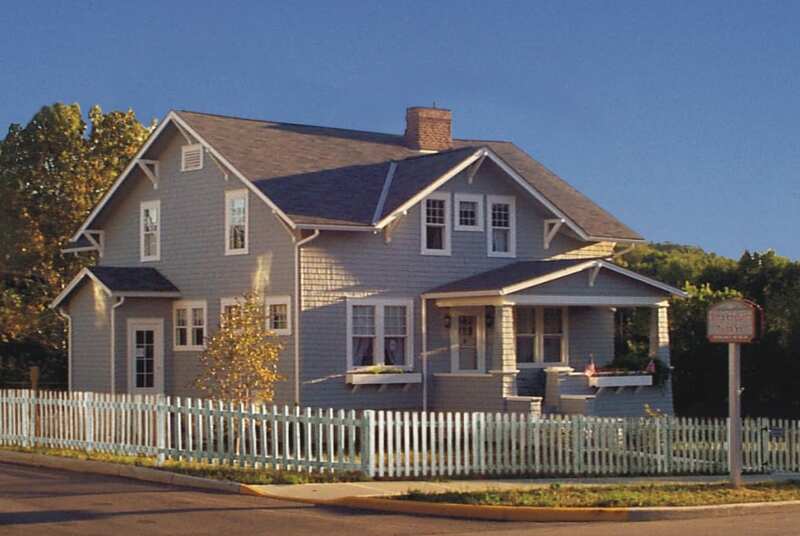 The John & Annie Glenn Historic Site in New Concord, Ohio, restored boyhood home of astronaut and Senator John Glenn, offers visitors a glimpse of life during the Great Depression and on the home front during World War II. Costumed interpreters greet guests at the door and take them through the main floor as if they were visiting in 1937 during the Great Depression or in 1944 during the war. In 1937, new government programs, such as the Works Progress Administration (WPA) and the Civilian Conservation Corps (CCC), as well as the leadership of President Roosevelt, offered hope that the worst years of the Depression were over. Visitors to the John & Annie Glenn Historic Site learn how ordinary Americans survived by making the most of their limited resources. In 1944, the country was in the midst of a terrible war and visitors to the site learn of the sacrifices families made back home during that conflict. Kitchen exhibit at John Glenn’s boyhood home. Tours also include a movie about the lives of John and Annie Glenn and a guided tour of the top floor, including John’s bedroom, a toy room and galleries containing special childhood treasures and memorabilia from his military, political and space careers. Listening to the Past: Learning of John and Annie Glenn and their lives in New Concord, Ohio, during the Great Depression and World War II, complete with a John Glenn boyhood sack lunch. Dolls Day Out: A tea for young girls, their mothers and grandmothers and their favorite doll. Blast Off: A day filled with rockets, balsa wood planes and astronaut experiences, complete with a John Glenn astronaut meal. Christmas at the House: Enjoy the house decorated for Christmas as in John Glenn’s time. Watch the electric train under the tree, listen to a Christmas story and make an ornament for your tree. Enjoy hot chocolate and a cookie. A costumed interpreter plays the role of John Glenn’s mother at the John & Annie Glenn Historic Site. Grade level study guides are available to help students better understand the Great Depression and the living history presentations. A John Glenn coloring book is also available on the site’s website. The John & Annie Glenn Historic Site, a private, privately funded nonprofit organization maintained by admissions, memberships and private donations, is administered by a volunteer board representing the Village of New Concord, the East Muskingum School District and Muskingum University. Visitor hours are May through October: Wednesday to Saturday 10am – 4pm, Sunday 1 – 4pm. The site is also open for groups by appointment throughout the year. For more information about the site, visit http://johnglennhome.org or contact the organization at 740.826.3305. Jim Geyer is a Region 10 representative of the Ohio Local History Alliance and Director for Museums at the Pioneer & Historical Society of Muskingum County in Zanesville, Ohio. have time I will be back to read mucdh more, Please do keep up the great work.